Industrial Shelving, Mobile Shelving, Archive Shelving. 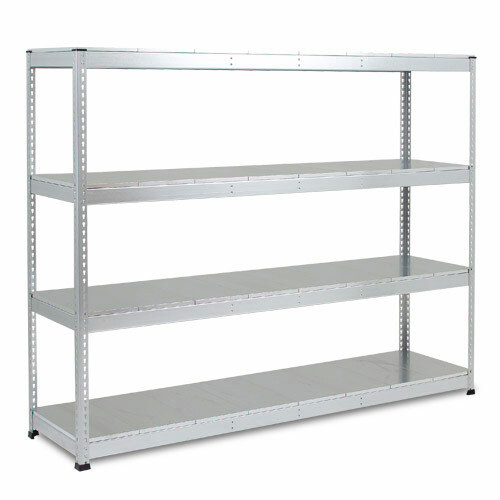 We have all varieties of shelving ranging from heavy duty racking to garage shelving. If you are looking for any type of shelving then you have come to the right place. Here at Spectra Systems, not only do we have one of the largest ranges of shelving available in the UK, we put our customers first, consequently we do everything we can to make sure you have an enjoyable experience with Spectra Systems. Get in touch with our customer services team if you have any questions. Whatever type of shelving you need, we can help. Our shelves and racks come in many different materials including plastic shelves, metal shelving, steel shelving and plenty more besides. We also offer all possible types of shelving unit and storage. From heavy duty industrial storage to a simple storage rack for your tools in the garage , we have it all. Whatever your storage needs Spectra Systems has the right type of shelving for you. At Spectra Systems, it is not just the quantity and value for money that sets us apart from the other suppliers, but we also include ex-stock delivery as standard. With easy assembly too, your warehouse shelving, home storage or office units can be assembled quickly. Spectra Systems is the online shop for all types of shelving and storage. With a strong dedication to customer service and value for money, it would be difficult to find a better service elsewhere. Ordering couldn’t be simpler through our easy to use and secure online shopping cart, and our sales office staff are on hand to answer any of your questions. For all your shelving or storage units for the workplace, contact us today!